A Nashville Democrat called on Speaker Beth Harwell today for the House of Representatives to have a special session to expel Franklin Rep. Jeremy Durham. 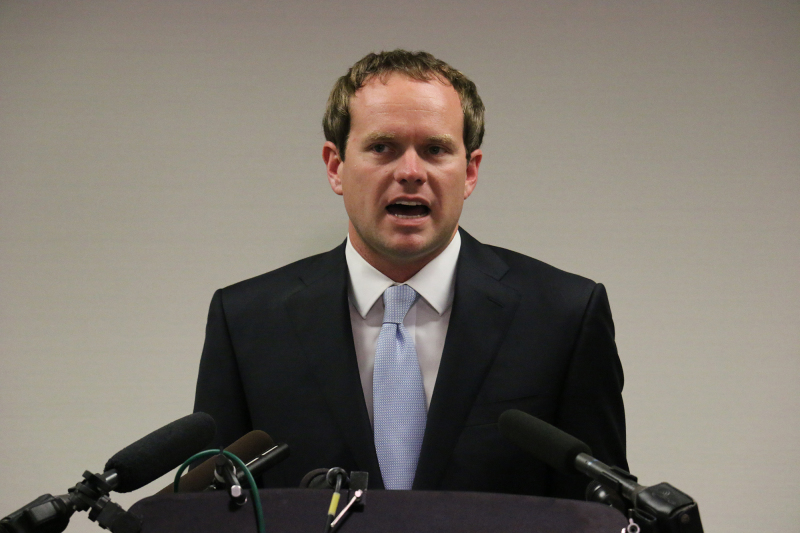 Rep. Mike Stewart (D-Nashville) in a press conference Wednesday called on Speaker Beth Harwell for the House of Representatives to have a special session to expel Franklin Rep. Jeremy Durham. Stewart said he wanted the special-called session to oust Durham before November. A Special Ad Hoc committee voted for the release of a 50-page report that detailed inappropriate behavior from the incumbent for House District 65, which had pages worth of allegations from female legislators, lobbyists and interns, including examples of inappropriate text messages, offering an under-age intern alcohol, and having sexual conduct in his office in the legislature. Stewart claimed that if Durham stayed in his seat until then, he would have a lifetime pension from the state. “To me, it just seems obviously unfair that the people who are identified in the Attorney General’s report, as having been victims of harassment, should as taxpayers now have to foot the bill for a lifetime pension for their harasser,” Stewart said. Though, Speaker Harwell said she would tend to side with the decision made last week, which was to let the voters decide in the upcoming primary Aug. 4 whether they wanted to keep the embattled Republican.